The Mercer County Technical School District provides rigorous career and technical education programs for high school students and adults. Whether you're interested in exploring a career during high school, building on your skills in your current profession or changing your career pathway completely, we have programs to meet your needs. Learn more. 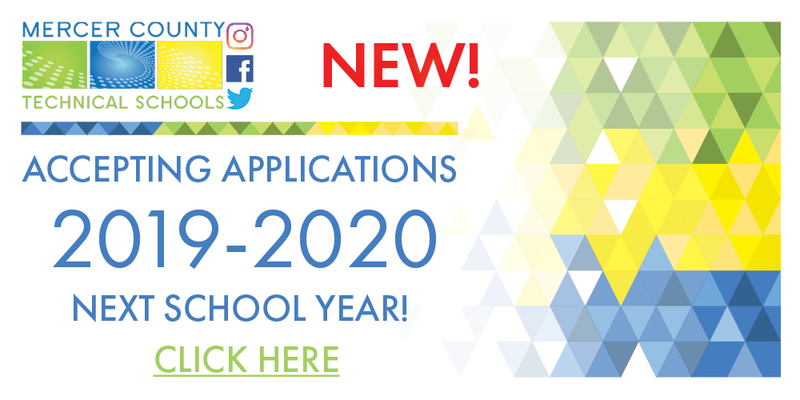 To start your online application, click the APPLY ONLINE button in the main menu above to enter the infosnap portal and create your own account. After you’ve created an account, you can complete online forms, save and return to forms in progress and print form history. Mercer County Technical Schools has partnered with Parchment to order and send your transcript and other credentials securely. Please click on the "Order Records" button for the appropriate school to order your credentials. Find the Podcast below or click link above!